If you’re just starting to delve into the world of camping in a hammock, you might find yourself fussing over where to set up shelter for the night. 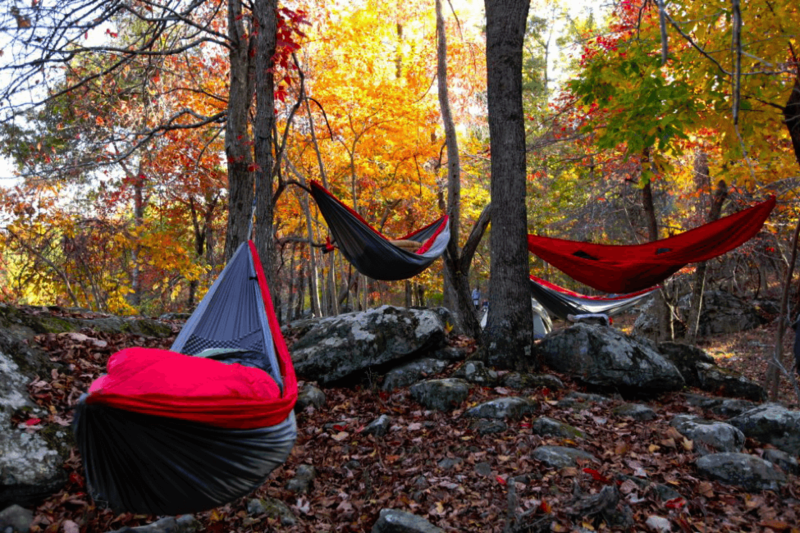 For someone making the switch from tents to hammocks, the things to look for in a good campsite are going to be a little different, but with some practice, you’ll soon be able to spot excellent places to hang up the hammock as you hike through the trail. Is there a water source nearby? If not, do I have enough water on me to last until the next day? The first thing to be aware of when setting up your campsite is to figure out your water situation, and this is true for all campers, hammock or no. 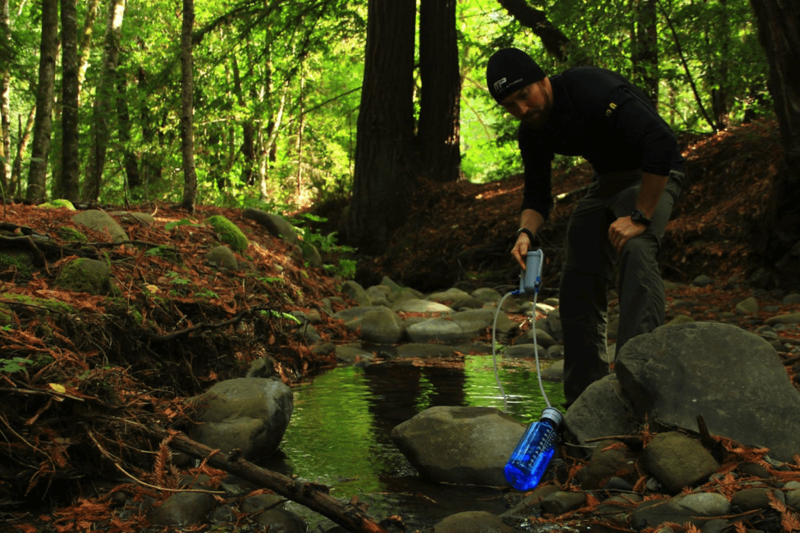 If you’re by a stream or a lake, it’s a no-brainer, but if there’s no running creeks nearby, make sure that the water you’re carrying will be enough for any cooking, cleaning and drinking that you’ll be doing at camp. Make sure that you’ll also have water left over for hiking to the water source the next day. Keep in mind that staying near a water source usually also means hammocking near mosquitoes. But if you come prepared with a hammock mosquito net, you’ll have no problems. Is there a suitable spot for my hammock? Finding the perfect pair of trees is not an exact science by any means, but something that you will develop a sense for the more frequently you go hammocking. 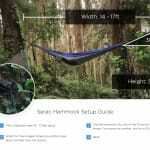 Everyone has slightly different preferences for how they like to hang, but you would generally want two trees that measure roughly the length of your hammock plus a foot apart from one another. However, there is a huge degree of wiggle room to work with so don’t be afraid to experiment with the slack, height and angle of your hammock to get a layout that feels comfortable to you. 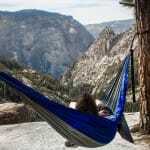 With practice you’ll find the best position to sleep in your hammock. 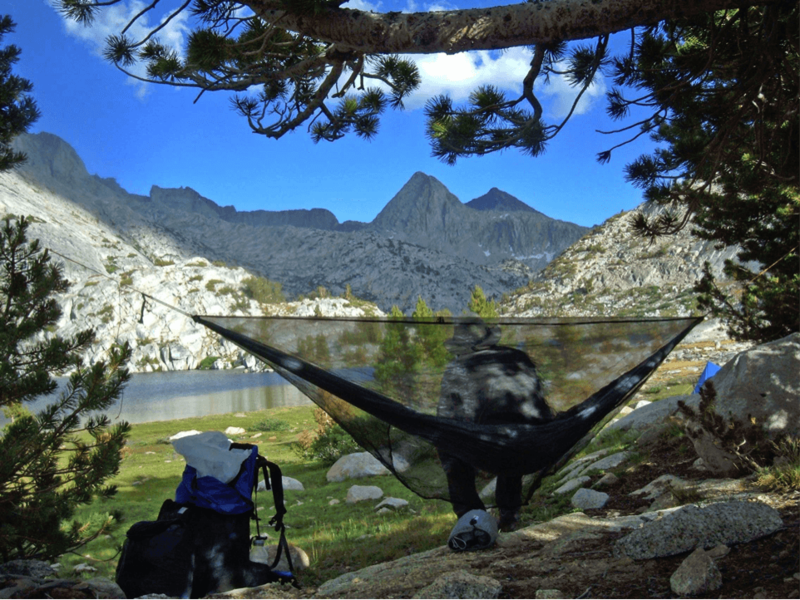 The beauty of hammock camping is that you can almost ignore the terrain on the ground since you won’t have to look for a flat area to set up the tent, and will be completely suspended above any rocks or shrubs. Keep in mind that a hammock isn’t foolproof, and there’s always a small chance that you might fall, so always opt for the softer landing if you can. For safety’s sake, only hang as high as you’re willing to fall. Are the trees sturdy and in good condition? Avoid dead and dry trees at all costs. It’s almost impossible to judge how much a dead tree has decayed inside and the extra weight from trying to hammock on it could send the whole tree to snap like a toothpick. Similarly, young saplings won’t be strong enough to support your weight and will cause great harm to the tree. Generally you want a tree with a diameter of at least one foot, any smaller and the tree will probably be too young to safely support you. 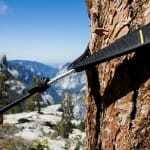 Use tree hugger straps to make sure you aren’t damaging the tree further. The last thing when picking out your trees is to look up and see if there are any large branches or broken limbs that could potentially fall on you. Older trees especially will have semi-damaged branches or pieces of dead wood just waiting for the right conditions to send it toppling to the ground. This is particularly important if you’re going camping in the winter. 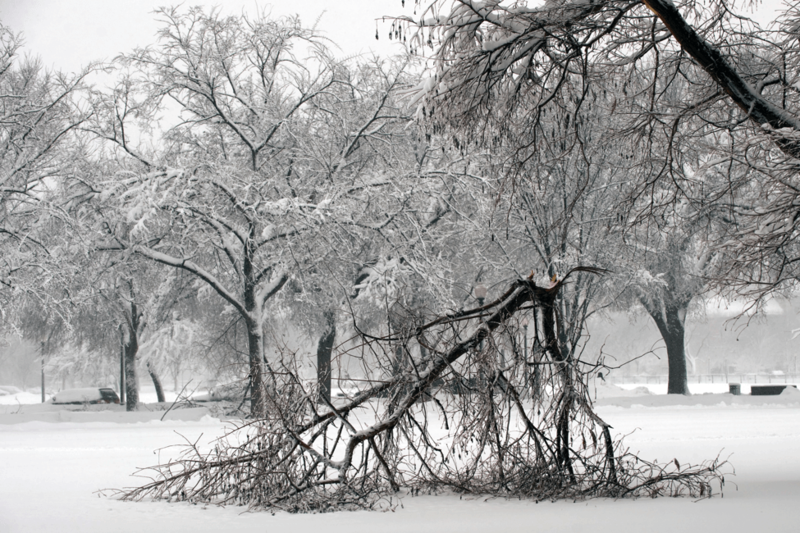 A night of ice and snow from a storm may be all the weight to snap off the frozen branch and completely ruin your entire trip. And that’s all there is to it! Now you know the important things to look for when searching for a safe place to hammock for the night. Have fun and be safe out there you slackers! This entry was posted in Camping, Setup. Bookmark the permalink.